Who has an important role in deciding how much people can borrow to buy a home? Who keeps manners on financiers and is the central figure in making sure another banking crisis is avoided? Who ensures that banks are not ripping off consumers and decides how to reprimand them if and when they do? Who manages one of the largest institutions of state? Who, as a leading member of one of the world’s most powerful economic policy-making institutions, needs to be a skilled diplomat with deep expertise in finance and economics? The answer to all of these questions is the governor of Ireland’s Central Bank, a role which also involves being a member of the governing council of the European Central Bank in Frankfurt. The boss of the Central Bank is one of the most powerful positions – elected or unelected – in the State. The 25 people who form the ECB’s governing council are among the most powerful economic policy makers on the planet – they make decisions on interest rates and other monetary policy issues for the second largest economy in the world. Their decisions affect everyone in the eurozone directly and have knock-on effects for the entire global economy. As the range of responsibilities listed above suggests, being the boss of the Central Bank is a dauntingly difficult job. 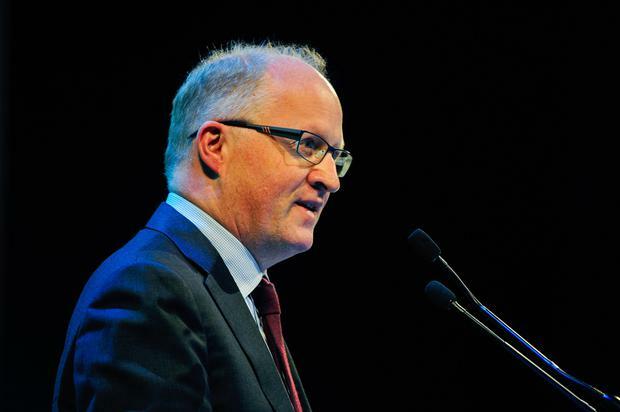 The outgoing governor, Philip Lane, does not tick all the boxes. Nor will whoever takes over from him in the coming months. None of the known candidates ticks all the boxes because it is all but impossible for any human being to have such a wide range of abilities, skills and talents. One indispensable quality for any central banker is a capacity to communicate effectively and authoritatively – with the public, politicians, policy-makers, financial market participants and fellow central bankers. Over the seven years of the next governor’s term it is very likely that the economy will experience a rough patch or a recession. If Brexit triggers a slump the new boss could face a much-changed economic environment from day one. Among other things, the question of why the banks have still such high levels of dud loans on their books could quickly return as a financial stability issue. Being able to sound calm and authoritative in a crisis situation is essential for any Central Bank leader. Restraint, discretion and subtlety are important for any member of the ECB’s governing council. A single loose word can cause international financial markets to move. Any national central banker who speaks out of turn will earn the wrath of his/her European counterparts. For many readers, the most important issue around the appointment will be how the next boss of the bank deals with rules on mortgage lending. These rules, which limit the amounts people can borrow, were put in place in order to avoid a repeat of the 2007-12 property crash. That calamity was caused primarily by banks’ bad lending, and the current rules were and are a reasonable and proportionate response to past failings. Despite the harm that excessive credit caused, when it comes to owning a home people are understandably more concerned about their own circumstances than risks to the wider economy. These concerns have resulted in political pressure for the rules to change and for the outgoing governor to be more flexible in their interpretation. If property prices continue to rise, pressure to row back on these rules will build. The Central Bank will come in for more criticism along the lines that it is destroying a generation’s dreams of home ownership. Currently, a recruitment agency is accepting applications for the job and scouring the globe for candidates, but ultimately the decision on who takes control of the bank will rest with Minister of Finance Paschal Donohoe, and the advice he gets from his officials. The stability of the economy will depend on him appointing a candidate who can stand his or her ground (including when facing off against Department of Finance mandarins) and who does not flinch under pressure. Being the head of the Central Bank not only involves dealing with domestic political pressures of the kind discussed above, but also the hideously complex task of regulating a hydra-headed modern financial system. That challenge is made all the greater by the formidable lobbying power of big finance. The domestic banks still require a lot of whipping into shape. But that is relatively straightforward compared to keeping tabs on the international financial services sector. This industry has contributed a great deal to the economy in terms of jobs and taxes, but for a small country’s regulator to keep abreast of a massive globalised sector is a daunting challenge. It would not take much for something to go badly wrong. Numbers from the CSO on Ireland Inc’s foreign balance sheet, which is mostly accounted for by internationalised financial entities of various kinds, show just how much money is involved. The value of foreign assets held by Irish residents was just under €5 trillion at the end of last year, equivalent to 20 times the size of Ireland’s economy (as measured by annual GNP). More than €5 trillion is owed to foreigners. Both sides of this balance sheet have almost doubled in a little over half a decade. A somewhat less daunting challenge for the governor will be getting to grips with managing a large and complex organisation. One does not have to go far, for instance, to hear informed mutterings that the bank is excessively silo-ised. Another issue is its size. It now employs around 2,000 people, more than double the number a decade ago. Questions remain over how so many new recruits have been folded in to the organisation, particularly given an unsettlingly high rate of job churn – financial institutions can offer far better remuneration packages than the Central Bank, which is subject to public sector pay caps. Managerial skills are likely to be crucial in determining who gets the governor job. Less important will be expertise in economics. Monetary policy in normal times is a complicated business. It is a branch of economics that many economists of high standing might struggle with if they have not spent time specialising in the field. To make matters more difficult, these are not normal times. The financial crash of 2007 and its aftermath changed the economic landscape. Central banks have since taken measures that had previously been confined to the realm of theory and speculation. Intense debates rage in the ECB system around the efficacy of these measures, including the money printing programme that the bank has only recently halted. A slowing of the euro area economy recently, and the fact that Frankfurt keeps missing its inflation target, has fuelled these debates further. Of all the roles the next governor of Ireland’s Central Bank will need to be adept at, getting stuck into these debates is probably the least important. Ireland’s sway in everything from setting interest rates to making decisions on money printing has always been limited given that the Irish economy accounts for not much more than 1pc of the wider eurozone economy. But what will mark the next governor out from all previous holders of the role is that Lane (the current incumbent) is to become the ECB’s chief economist. In that role he will be one of six members of Frankfurt’s executive board. The six sit alongside the 19 heads of the national central banks of the euro area to form the 25-member governing council. Lane is a professional economist with deep knowledge of monetary economics. Although he will become a European official and will not represent Ireland, nobody in European institutions is expected to forget ”the country they know best” – the euro-jargon euphemism for one’s country of origin. As such, there will probably be less need for the new governor to make Ireland-specific points on monetary issues around the table in Frankfurt. With that in mind, and having had two successive academic economists at the helm, the likelihood is that the next governor will be a manager, not an economist.